You’re always near a mechanic with our certified mechanics in Calgary who come to you. We can perform over 500 services on site including used car inspections, brake replacements, oil changes, tires, no start diagnostics, timing belts and more. 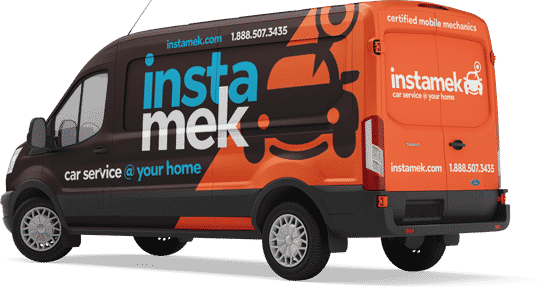 When a safe car is a must - call the Mek you can trust! If you're relying on the sellers "report" when buying used you could be taking a huge risk. It's always better to have an indepedent third party inspect the vehicle before you buy it because the onus is always on the buyer. We are the used car experts in Calgary and perform thousands of these inspections a year. Regular maintenance is the fountain of youth for your car - but it can be a hassle - even at Quick Lube stations. 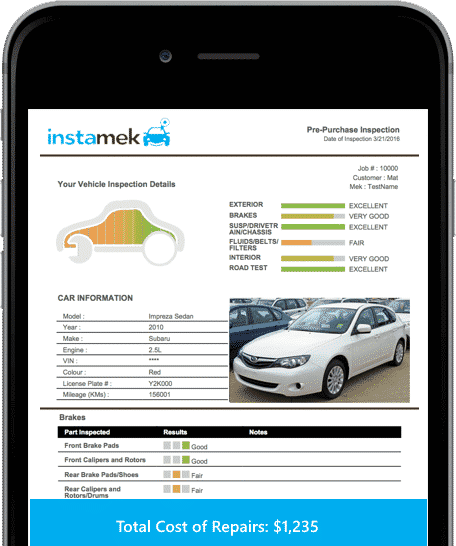 With instaMek we make it extremely easy to keep up with your maintenance and getting your oil changes on time. Each service package is designed to keep your vehicle in tip top shape and includes a peace of mind inspection. Your car not starting is one of the most frustrating experiences you can experience as a car owner. There are many reasons why your car won't start but we will get to the bottom of it, fix it and get your car running. Our diagnostic services start at $99 and we can replace whatever we have to get your vehicle running. Calgary is a driving city and when you're waiting in rush hour the last thing you want to do is take your car to a shop. That's where we come in – our Meks know Calgary inside out so we can come right to you in a timely manner to keep your car running at its best. We also cover the surrounding areas from Airdrie to Okotoks and Cochrane to Chestermere. Take a look at our reviews from our customers in Calgary. This doesn't even include the hundreds of reviews we have as a company in Edmonton and Vancouver. We are able to do more with less and pass on those savings on to you. You worked hard for your money and you deserve to keep it without sacrificing the best mechanics and the experience. 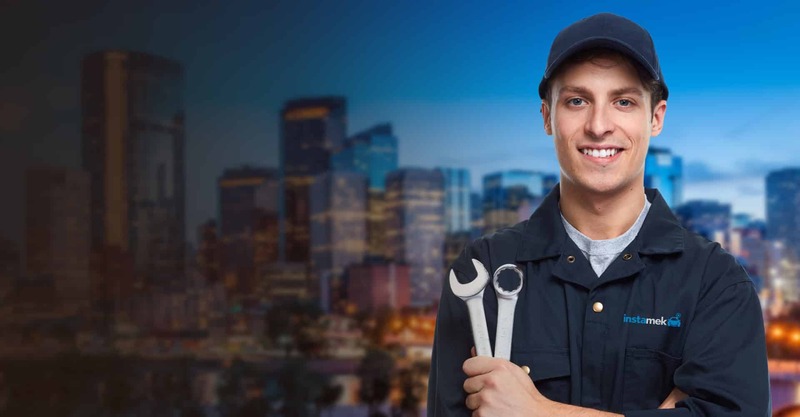 Just take a look at how we compare to other mechanic shops in Calgary. Although they were 2 hours late for the appointment due to vehicle problems, they finally agreed with my diagnosis for a replacement alternator and had me back on the road for my appointment in the nick of time. Great experience! I'm very grateful I didn't have to find a tow truck to get in my parkade. I will definitely call again if and when I have an issue with my vehicle. Was impressed Naveed came equipped to fix my car with a new starter and a new battery just in case. Very personable, on time and honest. Todd was a miracle worker - my car wasn't turning on and I called other mechanics to come by and take a look. Todd came by and fixed what they couldn't! Got an oil change and my mechanic told me that the alternator in my car was weak. Noticed it too because the lights would dim when the music was loud in my car. I wanted to get it replaced but it never had the time, my friend told me about instaMek. Loved the idea and they were great to work with especially with my busy schedule. Will definitely use these guys for everything else. Great service! Will definitely use them again. The mechanic I had was really nice and my car is fixed! 5 really appreciate the great service. Great job done, helpful and personable. Blend Door Actuator for a 2002 Volkswagen Jetta. After having a couple bad experiences at some large shops in Calgary I came across these guys while searching for another mechanic on google. Sounded a bit too good to be true at first, but after contacting them I was emailed back a detailed quote within 30 minutes. One day later I had a friendly mechanic named Clay show up at my work to replace my timing belt, water pump AND serpentine belt; all done in the parking lot well before I needed to drive home. This is an amazing service and I hope you guys get the recognition you deserve! Thanks!